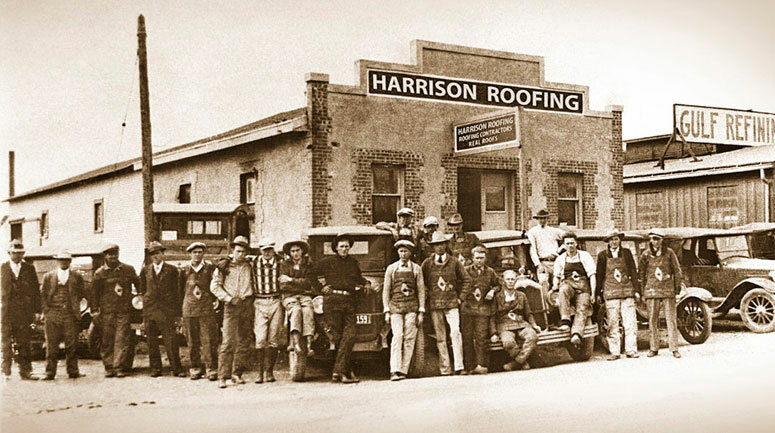 Harrison Roofing is family owned and has been serving San Angelo & West Texas since 1928. Our work can be seen all over town on homes, commercial buildings, and municipal buildings. Some of the notable buildings that we have worked on in San Angelo include the Visitors Center, the San Angelo Museum of Fine Arts, Foster Communications Coliseum, and San Angelo Central High School. Harrison Roofing Co., Inc. also has a branch office in San Antonio, TX to better serve our Central and South Texas customers. With our location at 7825 Mainland Dr. in San Antonio we can continue to offer superior service along with competitive prices! Ronny Harrison earned a BA degree in business administration from Angelo State University and was a founding father of Lambda Chi Fraternity at Angelo State University. Ronny began roofing for his grandfather, O.D. Harrison - the founder of Harrison Roofing, along side his father, William Lea Harrison, at the age of 15. Since 1968, he has been involved in every aspect of the roofing business and has helped usher Harrison Roofing Company into the 21st century. Ronny's wife, Carol, is a retired school administrator and now serves as the Sr. VP of United Way. They have two sons, Clint and Jeremy, who are active in Harrison Roofing Company and are proud of their four granddaughters. Ronny has served on the board of directors for the Better Business Bureau in San Angelo and recently served on the Zoning Board of Adjustments for the City of San Angelo. 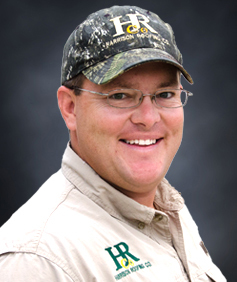 Jeremy Harrison has a BBA from Angelo State University, and has been involved with Harrison Roofing Co., Inc. since 1994 becoming a full time employee in 1995. He and his brother are the fourth generation of Harrison Roofing Company and started on the roofing crews at a young age. Working his way up has given him the knowledge required to ensure the notorious 'Harrison Quality' is never compromised. 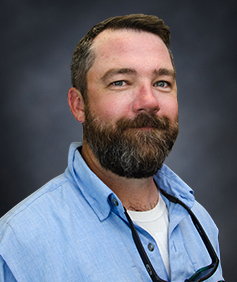 Jeremy is highly involved in the commercial roofing operations in the company, and keeps current on all of the latest changes in the industry. He has been certified with Duro-Last, Firestone, GAF, Johns Manville, Versico, Garland, and others. 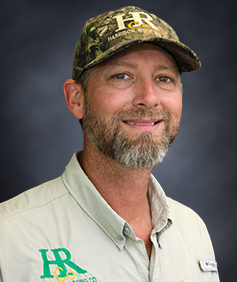 Jeremy stays on top the industry in order to bring Harrison Roofing Co., Inc. customers the best in quality, energy efficient, and durable roof systems. Clint graduated from Central High School in 1992 at which time he continued the family tradition in a roofing career. He worked for Harrison Roofing along side his father, Ronny, from 1992 to 1995. 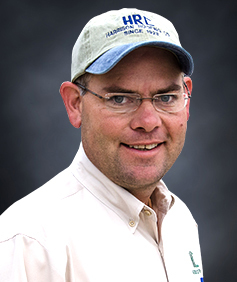 In 1995 Clint went to work for Stuart Sheet Metal in Austin, Texas where he broadened his knowledge in metal roofing and architectural sheet metal design. He returned to Harrison Roofing in 2000 with current emphasis as executive supervisor of the sheet metal department. Clint continues to stay up to date with the new technology and sheet metal roofing along with all other areas of the roofing industry. 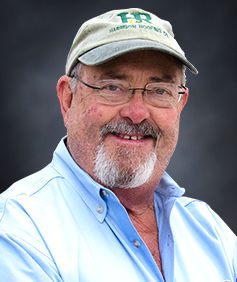 Rickey Polk began his roofing career in 1978 in North Carolina. Taking a break from roofing, in 1982 he began serving our Country in the United States Army. After serving 8 years in the Army he was honorably discharged and returned home to North Carolina. 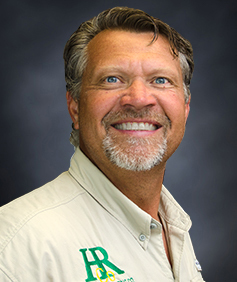 Rickey began to expand his roofing knowledge in various areas of the industry through installing and supervising built-up roofing, single-ply roofing, and metal roof systems including standing seam roofs. 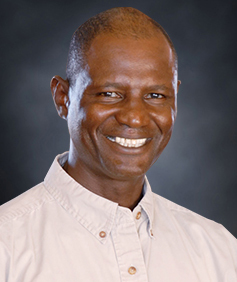 In 1996, Rickey received his Architectural Sheet Metal Mechanic Certificate through American Roof Systems and received his Associates Degree from Savanna Technical College in 2003. From 2003 to 2008 he worked as a quality-assurance tech representative for Shaw Benco, Inc. and Duro-Last Roofing, Inc. Rickey joined Harrison Roofing as the San Antonio Branch Manager in April 2008. 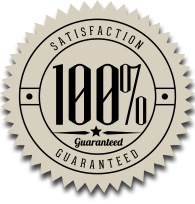 Rickey's knowledge in the roofing industry adds to the quality and customer based service that Harrison Roofing has provided for over 80 years. Tracy (Jackson) Stewart was born in O’Donnel, TX where she began working at her mother and father’s full service gas station her freshman year of high school. Even though she’s long since moved on to other employment, she continues to help her mother with the book work at O’Donnell Oil & Butane in her spare time. 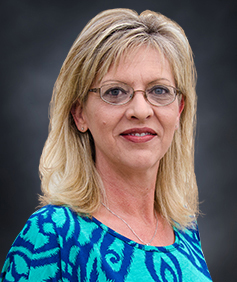 In May of 1981, Tracy married and moved to San Angelo where she worked at Swindle Tire Co. performing the clerical, receptionist, and bookkeeping duties of the company. After ten years, in October of 1991, Tracy moved over to Harrison Roofing, where she took on the role of bookkeeper and receptionist, while also seeing to all clerical duties. She oversees Payroll, Accounts Receivable, Accounts Payable, Financials, Insurance (workers’ compensation and liability), and customer service for both Harrison locations. In 2007, Tracy received her food manufacturers license and created TJ's Fresh Garden Salsa which she makes and sells herself at a local retail store. Tracy is the proud mother of a son and stepdaughter and has two grandchildren. Gary Merrill grew up in Salt Lake City, Utah where he started his construction experience from working with his father building homes. After graduating from Taylorsville High School, Gary continued his education at Salt Lake Community College where he obtained his Associated Degree in Civil Engineering. Gary went on to study Construction Management at the University of Utah and Weber State University in order to further his knowledge of the construction industry. Gary has worked as a superintendent for many general contractors throughout Utah, Washington, Hawaii, Arizona and Texas. Gary joined Harrison Roofing in 2015 as a project manager. Gary has helped bring diversity and expertiese to both Harrison Roofing and the construction industry of west texas. Gary currently lives in Midland, Texas with his wife Pamela. They have four children and five grandchildren. Chris Nichols grew up in Hayden, Alabama, working as a mason under the supervision of his father. Chris married his high school sweetheart, Amy, in 1995. They have enjoyed living in North Carolina and South Carolina, eventually settling in Eola, TX. He enjoys working on their farm with their three children, Garrett, Grant, and Calista, who attend school at Wall ISD. Chris has a BA from Howard Payne University and a MA from Gordon-Conwell. After teaching High School English and working various construction jobs, Chris joined the Harrison Roofing team in 2017. There is never a dull moment while Chris is in the office or the field. He is excited to be working with Harrison Roofing and looks forward to serving the people of San Angelo and surrounding areas. Patrick Anderson grew up in Miles, Texas and graduated from Miles in 1999. In 2003, Patrick took the opportunity to learn more about the sheet metal trade with Harrison Roofing. He worked on various buildings in San Angelo, including the new YMCA. In 2005, Patrick married his wife, Dara. They currently reside in the Wall area. Dara is an instructor at Angelo State University. In 2006, Patrick had the chance to branch out into the trucking industry. He ultimately went on to own his own trucking company hauling commodities from 2011-2016. In 2017, Patrick once again took the opportunity to rejoin the Harrison Roofing Team. Patrick has excelled in assisting customers in the residential area and is branching into commercial sales. Patrick’s varied knowledge of business and the roofing industry adds to the quality that Harrison Roofing has provided for over 80 years.